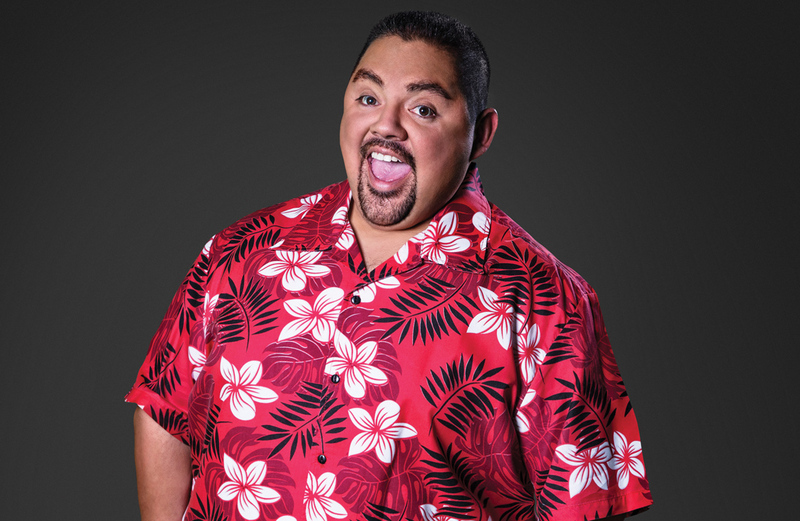 Is there anywhere in the world comedian Gabriel Iglesias can go where someone doesn’t yell out “Fluffy!” when they see him? No, not really. It doesn’t seem to matter where the jovial funny man performs — India, Saudi Arabia, Afghanistan or anywhere in the U.S. — people know who he is. He considers his global appearances kind of like peace-keeping missions, finding unity through laughter. The little kid from southern California with big dreams never imagined his ability to make people laugh would take him so far. Iglesias’ gift for storytelling is punctuated with character voices and sound effects that bring his personal experiences to life. His unique and animated comedy style has made him popular with fans of all ages. Then there is his “nice-guy” persona that fits him like a glove because he is one of those rare individuals who keeps it real. What you see is what you get. Iglesias is starring in the upcoming multi-cam television series “Mr. Iglesias” for Netflix. In addition, Iglesias has signed on for two new comedy specials to be released on Netflix, one taped this September in Houston, and one in 2019. Iglesias has made a few stops in Laughlin over the years and this time he returns with the “One Size Fits All” tour, to the newly renovated Rio Vista Outdoor Amphitheater at Harrah’s Laughlin, on Saturday, Oct. 13, which was recently expanded to accommodate — not his “fluffy-ness” — but his large legion of fans. To be so successful on such a large scale, does it feel overwhelming compared to those early days of struggling? It is overwhelming. I feel definitely, now more than ever, overwhelmed with so much that’s happening, because I’m stacking on so much. I’ve got the road work that I’m doing, and now I’m balancing a sitcom on top of that, and I just finished doing a special, so I mean there’s a lot going on lately, so sleep is gold. You are one of those comedians who busted their butts going the traditional route of performing at open mics versus those who find their audiences on YouTube without leaving their living rooms. Do you think funny is funny no matter what? Or do you think it should be part of the process of paying your dues, to put in the work and the time? I think it’s a balance because you gotta roll with the punches, you gotta change with the times. That whole mentality there had to be the paying of the dues was good for the time. Hey, I’ve been doing this for over 20 years so I don’t think anybody’s gonna question where I’m at because of how long I’ve been doing it. But there are comics who have been doing this for much less time than me that have been more successful, like Kevin Hart for example. I’m not gonna say he should have hit the road longer, or he should have been this way or that way. Hey, good for him. He was a lot more efficient in what he did. His work ethic is incredible. I just think if you’re met with an opportunity and you’re prepared for that opportunity, hey man, if you can get to that place quicker, good on you. Just like comedy itself, timing has a lot to do with it, too, don’t you think? I do think that this is the best time ever to be a comedian, as far as getting your name out there because of social media, because of the internet, because the world is a small place thanks to the internet. But at the same time, it’s also a scary place right now to be a comedian because everything you say nowadays is being dissected and just twisted and there’s a spin on everything. And so a lot of times comedians are afraid of performing in certain places, for example, colleges, or maybe for example, I do fairs a lot. A lot of comics don’t like doing fairs because their show has to be a certain ware in order to be able to perform at fairs. So it’s a double-edged sword, it’s the best time and it’s the scariest time so hey, if you can make it happen, then good for you. If you can’t, well, then I’ll see you later. Where and when was the first place you ever did standup? It was April 10, 1997, at a little hole-in-the-wall in Long Beach, California. It was the lounge inside of a Best Western. That lounge is still there and they still haven’t updated it. I know, because when I hit my 20-year mark, I went over there to just go walk around and just to see it and be nostalgic, yeah, they haven’t fixed it up. It’s down the street from where I live. What was the best laugh you ever received? Wow, that’s a great question. I’d probably have to say the best laugh was from my mom when she was alive because making her laugh was near impossible. You had to do something that was so funny, and so out of left field to get her going. She was so jaded and she would never really laugh. Is there any distinction between Gabriel the comedian, Gabriel the family man, Gabriel with your comedy friends and Gabriel with your regular friends? When are you really yourself? Oh, there’s separation definitely. I’m a lot more quiet when I’m offstage. I’m always listening — sometimes people think I’m upset, and that’s not the case, I’m quiet. I like to listen a lot. I jump in when it’s optimal, I’m not one of those comics whose constantly gotta be on, which is annoying. No one needs somebody who’s gonna be a clown 24-7, you gotta have your moments of vent. Part of that comedian thing that’s crazy, its the audience who decides whether they like you or not. Do you ever think about the courage it takes to do what you do? Well, yeah, just the whole fear of getting up in front of people is huge. It’s a big fear. People are more afraid of public speaking than they are of death, if you can believe that. It’s one of those, well first of all, to get up there is one thing, and now you have to actually work on making these people laugh. There’s a lot there, a lot of pressure, but for some reason, I’m so much more comfortable on a stage than I am probably in my regular life. I can function off stage, I just feel a lot more confident up there. Talk about your latest projects. What is this multi-cam TV series? I’m Netflix’ little baby right now. They have basically set me up to succeed. The networks I’ve worked with in the past have given me great opportunities but they haven’t been part of the inspiration of what it is I’m doing. This show is called “Mr. Iglesias,” and it’s based on my world, an alternate world of mine. It’s me as a school teacher, which is what I was supposed to do originally before I became a comedian. I was taking a course in high school called Exploratory Teaching and the Long Beach Unified School District offered to give me a full scholarship — they’d pay for everything as long as I’d come back and teach two years at Long Beach Unified. That’s right when comedy was there and it was one of those, make a choice moments in life. So I went left instead of making a right and now we’re here. I thought it was cool that Netflix is giving me an opportunity to do the alternate life, I’m still playing Gabriel Iglesias, and it’s basically me, but it’s me as a school teacher. So I’m a history teacher at my real high school. I got permission from Long Beach Wilson High School to use the name and logos and we recreated my high school. Now I’m a school teacher there. It’s pretty awesome because it’s a history class so it allows us to cover pretty much any topic, and it’s a lot of fun. It’s a great cast of kids, and, like I said, it’s an opportunity for me to be in front of people and it feels very natural. It doesn’t seem forced. Sometimes I see comedians on sitcoms and it’s like, “that’s not really how they are.” It’s like putting a square peg in a round hole, it doesn’t fit right. So this is very natural. When are your two Netflix specials coming out? Actually today I’m going into an editing bay to work on the special and I’m pretty excited about this one. Netflix gave me an hour and a half special — yeah, I talk too much. It’ll be out on January 23, 2019. It’s a global release, which is pretty awesome. To say you have something that’s literally a world premier, is pretty cool. I’d always hear “world premier” and that would usually apply to music videos and music artists, but as a comic that’s pretty awesome. (The second comedy special will be taped in 2019, in a city to be determined). Who will be opening your show in Laughlin. This time I have a buddy of mine, Alfred Robles, and I might have another comic, but we haven’t confirmed it yet, I can’t say because they might have an off day, you know what I mean? I definitely will be there. Giving fans the personal touch is pretty cool. My social media is actually ran by me, you can tell by the bad spelling and late night food pictures. So when fans engage and send messages out, if they get a reply, it is coming from me. I can’t reply to everybody, but I do my best. I spend a lot of time on social media, daily and it’s almost a habit. It’s a nice de-stresser for me. I get to engage with them and forget about my problems. When you talk about problems in front of everyone, they aren’t problems any more, right? You sound like my therapist. Comics…we’re head cases. Any comic who’s worth his weight in salt, has some issues going on. A regular sane person does not do this for a living. It beats being a regular boring person. I guarantee you I am not boring.